Each two leaf and a bud is delicately hand rolled to extract the right amount of sap from the delicate leaves which are then crafted by expert hands of women workers at the estate. 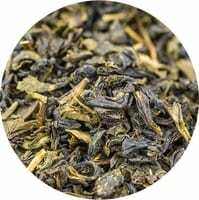 These are then lightly fermented to make some of the most stylish teas, giving rise to enhanced flavours and taste. Suggested brewing 4-5 minutes at 90 °C.